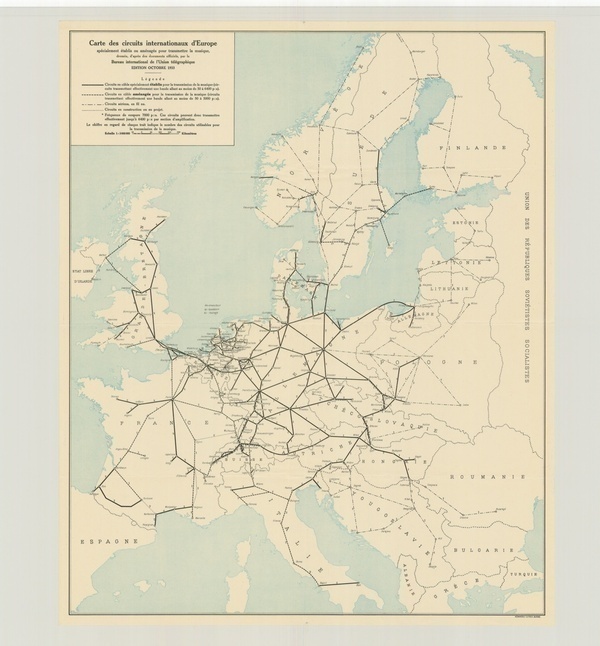 During the 1930s the International Telecommunication Union regularly compiled detailed maps with information on the whereabouts of the European telephone network capable of relaying music over long distances. Each ITU member received a copy of that part of the map that featured their country. The ITU member then filled out the specifics of its national network on the map according to a pre-determined legend. After return to the ITU, the ITU then compiled all the national information together in one huge map. If a member was late, or did not want to provide information, then their country would feature as an empty space on the ITU map. This was for instance the case, when Germany had not sent its information on time in 1948 and 1953.